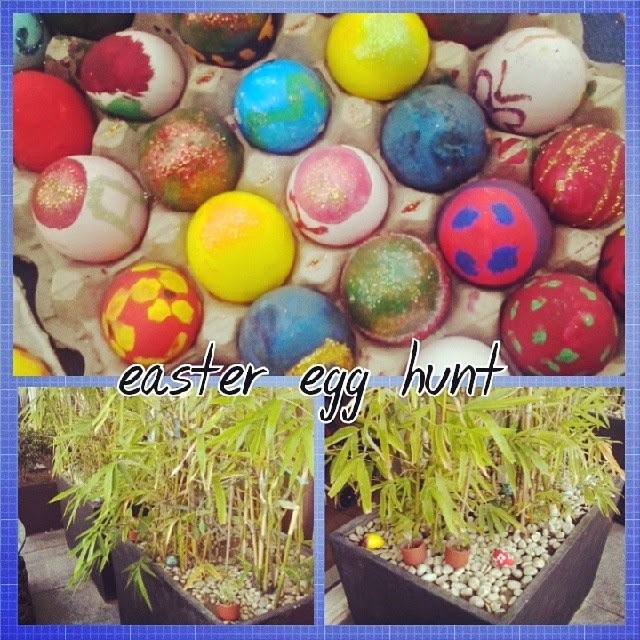 Honestly, I thought this was not going to be much fun or as well attended as other Eater Egg hunts. However, I am very happy to say that I was mistaken and that I am very happy that my son and his friends were able to partake of the Easter Egg hunt sponsored by Molito. 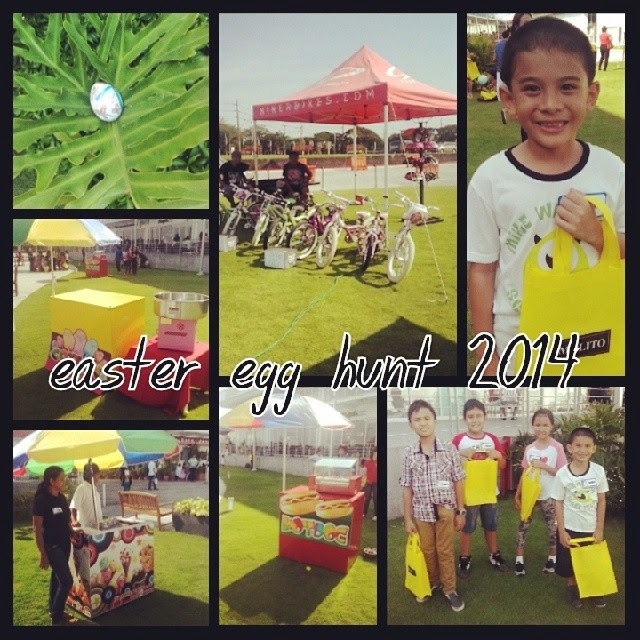 Registration started at 3pm and then Egg Hunt started at 4pm. In between, there were stands available for kids to have free hotdogs, face painting, cotton candy, snow cone, and dirty ice cream. The kids also had the chance to ride a bike for free for 10 minutes. When the program started, the only thing I did not like was that the Molito Marshalls were not able to control the adults. A lot of them cheated which I think was really wrong. It was supposed to be the kids hunting but the lure of a measly Php1000 was enough to make even the most educated cheat. Tsk tsk. What kind of an example are we setting for our kids? Anyway, I'm happy that on his own, B was able to get at least 5 eggs. I did not help him at all and I know that he enjoyed doing it by himself. Thank you Molito for this wonderful treat. I had fun and my son had more fun as well.